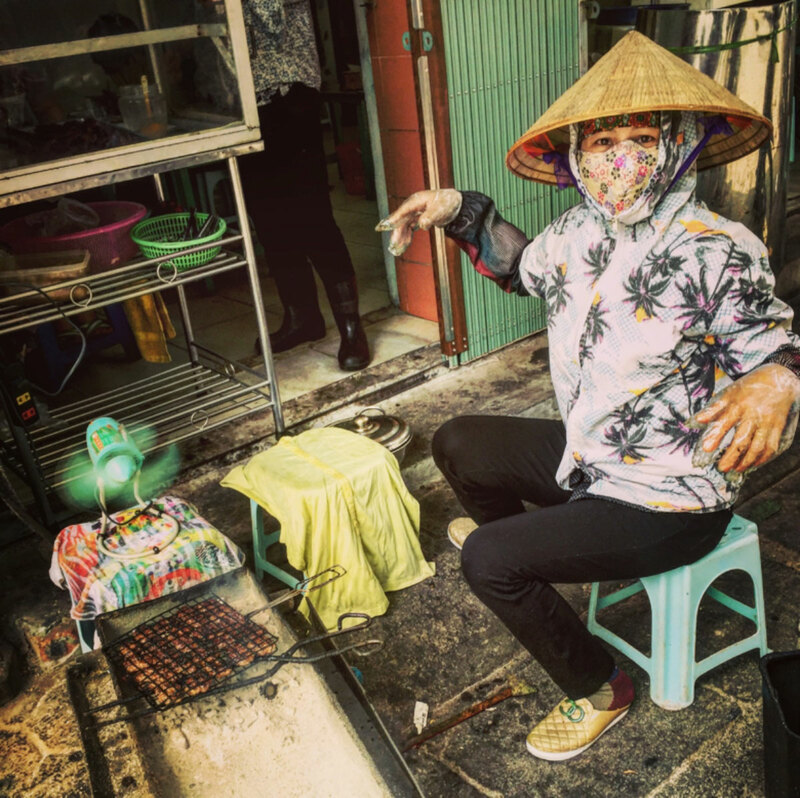 GUEST POST: Konrad Waliszewski recently traveled to Hanoi to do research for his travel app and fell in love with Vietnamese food. 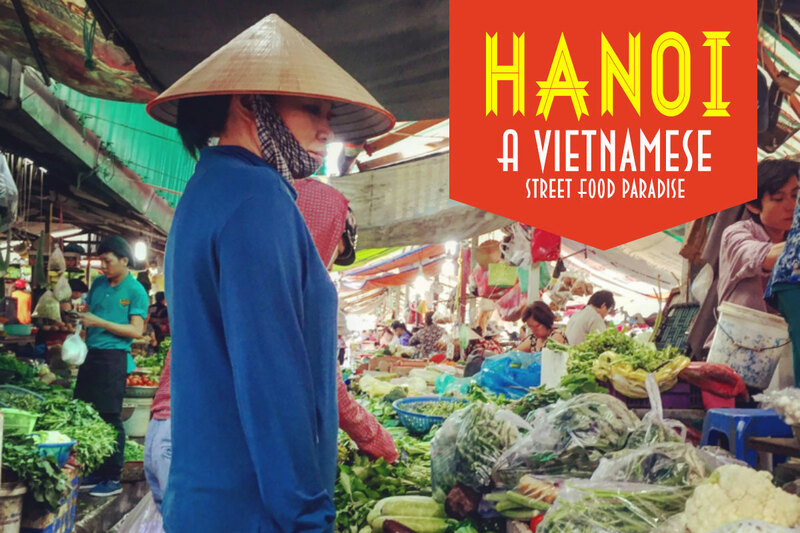 Here are some of his favorite things to eat in Hanoi and where to try them. Konrad here, from the GoKonrad travel blog. 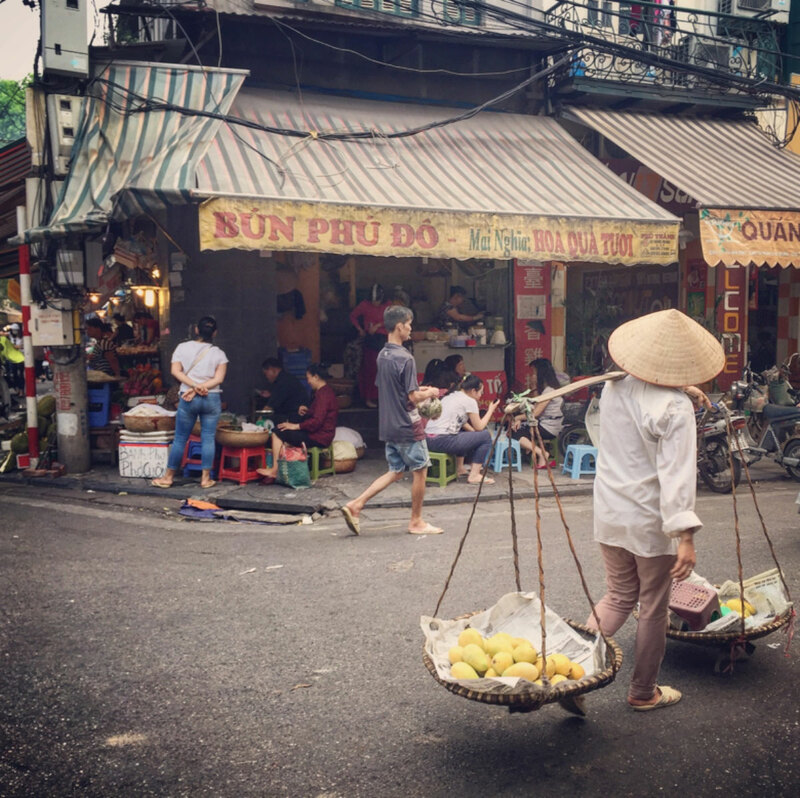 I recently traveled to Hanoi to do research (read: eat everything I could) for my travel app, TripScout. I tried everything and I don’t think I have eaten so well and for so cheap since, well, ever. A bowl of pho in Hanoi may just be the most delicious way to spend $1.50 in the world. 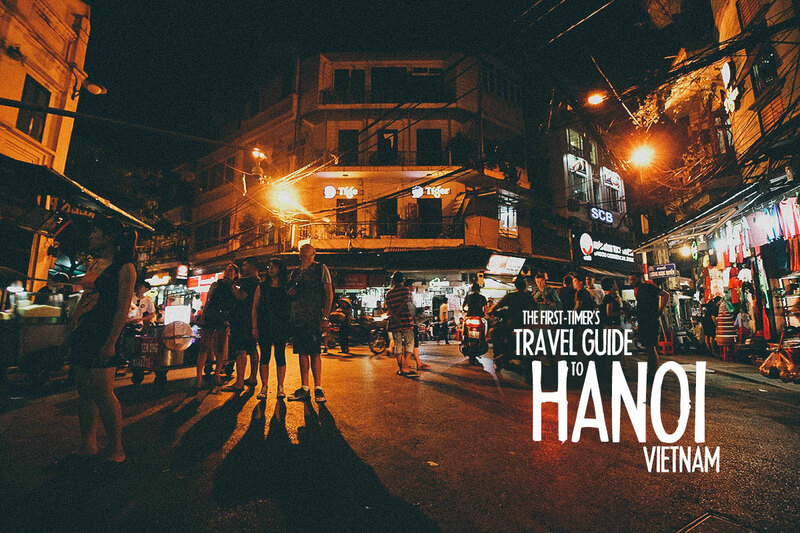 The whole scene can be overwhelming for travelers, so let me give you a quick crash course on what and where to eat in Hanoi. Hanoi has earned its reputation as a street food paradise. Around every twist and turn of its labyrinthine streets, ravenous travelers are invited to sit on small plastic chairs at a communal sidewalk table and are offered a superabundance of food options. It’s easy—and deliciously fun—to get lost in Hanoi’s food scene. Colorful and fragrant, Vietnamese cuisine consists of a combination of five fundamental tastes: sour, bitter, sweet, spicy, and salty. Dishes boast complementary textures—think soft rice paper wrapped around crisp veggies—and rely heavily on fresh herbs and vegetables. No journey to Hanoi is complete without indulging in Vietnamese cuisine. And the best part of dining in Vietnam’s capital? There’s no need to throw down big bucks to get the best eats. 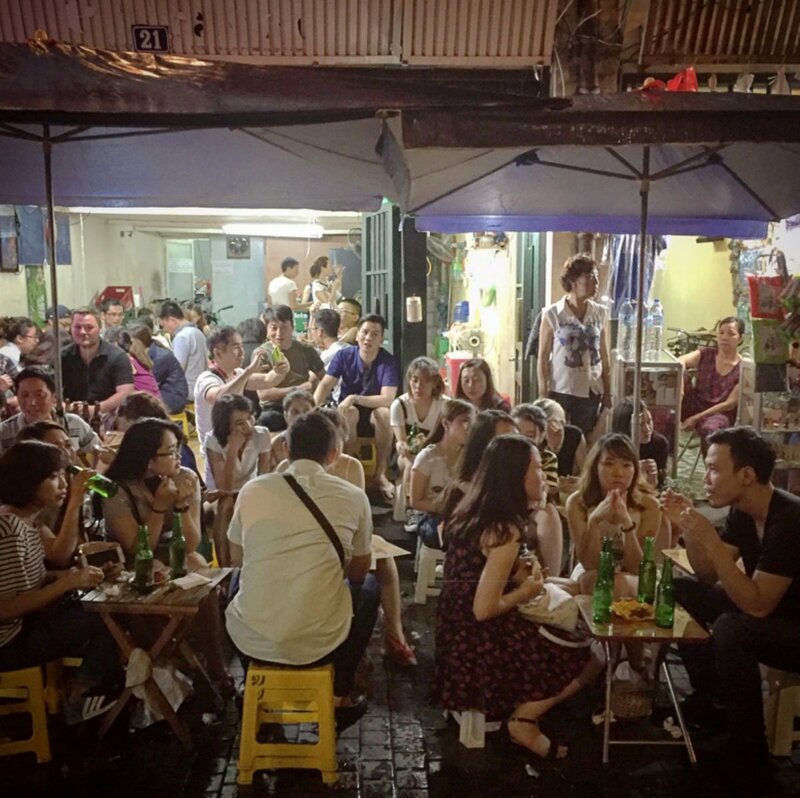 Hanoi’s finest dining can be found on its streets. As you start planning your Hanoi food adventure, learn a little more about the iconic dishes you must try. Pho is a fragrant soup that is traditionally eaten in the morning or late at night in Vietnam. In addition to flavorful broth, pho features slices of meat, noodles, and plenty of fresh herbs. Bowls of pho are typically massive, and heaping plates of herbs are served on the side, giving the soup-slurper total control over how high you pile the greens. The two words you need to learn to read the menu are Bo and Ga. Pho Bo is beef-based while Pho Ga is chicken-based. This dish is widely loved in Vietnam, and is eaten almost daily by Vietnamese. You can find pho on almost every corner of the capital, but my favorite soup-slingers are Pho Gia Truyen, Pho Thin, and Pho 10. Tradition says that bun cha was invented in Hanoi, so this is the perfect place to try it. Bun cha is a dish of grilled pork and noodles with an assortment of fresh herbs and dipping sauces served on the side. Vietnamese food writer Vu Bang once described Hanoi as “transfixed” by bun cha. 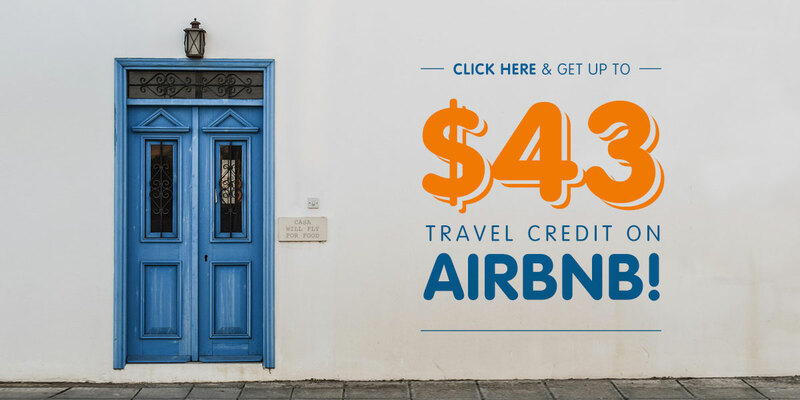 Want to see what the fuss is all about? Head to the Old Quarter to sample this pork dish at some of the city’s oldest bun cha restaurants. Bánh mí is a Vietnamese sandwich inspired by the country’s French colonial period. The French introduced the baguette to Vietnam resulting in delicious sandwiches commonly sold by street vendors. Bánh mí features a crispy baguette, an assortment of meat, mayonnaise, vegetables, and fresh herbs. Snag the tastiest examples of bánh mí from street vendors during the morning or evening commute times. My personal favorite is Bánh Mí 25, a street vendor that serves up irresistible bánh mí sandwiches. Cha Ca is a dish made famous in Hanoi. White fish is marinated in turmeric and galangal, and served with dill. This fried fish dish is so popular that there is an entire street named after the treat! Vietnam has rightfully earned a reputation for its stellar coffee. It’s easy to score refreshing servings of iced coffee on almost every corner of Hanoi. Try the traditional Vietnamese coffee with condensed milk or sample something a little more interesting, like egg coffee. Egg coffee is a drink made famous in Hanoi. It’s crafted with egg yolk, sugar, condensed milk, and coffee, and can be described as tasting like tiramisu. Pho Gia Truyen is without question the most popular place in the Old Quarter to score a bowl of Pho Bo. 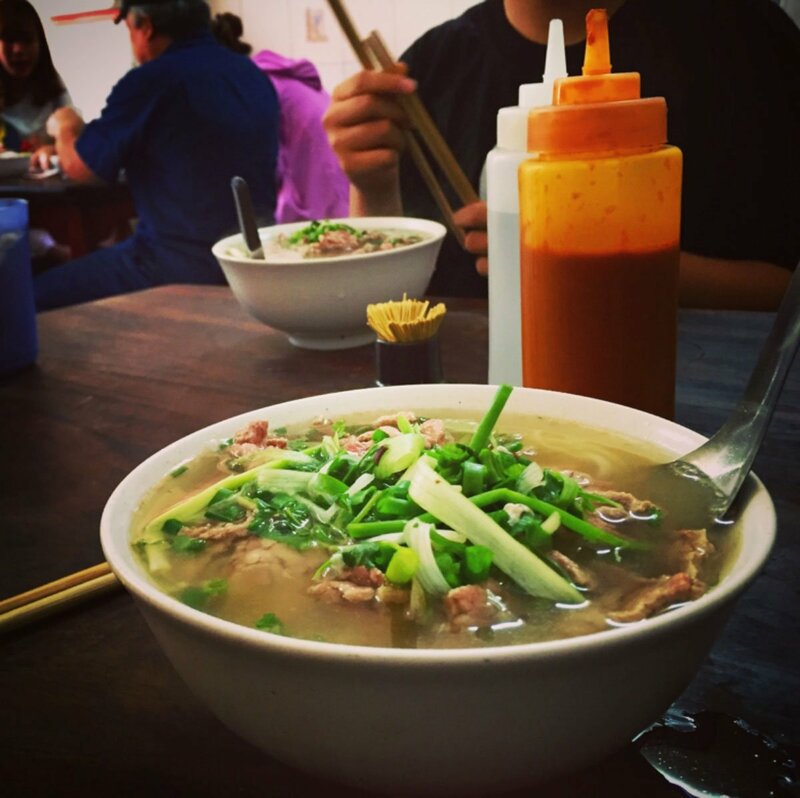 Locals line up every morning to start their days with this well-known Vietnamese soup. This busy spot serves savoury soups for breakfast and dinner. Visit this street kitchen for the best banh cuon in Hanoi. This dish is a definitive Hanoi street food— soft steamed rice pancakes stuffed with minced pork and black mushrooms. Crispy fried shallots, lime, and fragrant herbs top this tasty treat. Banh cuon perfectly balances all the flavors Vietnam is known for, and this humble canteen is the best place to find it. Pho 10, located in Hanoi’s Old Quarter, is a well-respected soup slinger. Grab a bowl and pile on the delicious extras — bean sprouts, lime, and crunchy herbs. This Hanoi spot offers a funky atmosphere and unique dishes. The restaurant boasts menu items from Vietnam’s Hmong, Muong, and Thai ethnic minorities, including grilled ants’ eggs and crickets. In addition to more traditional Vietnamese foods there are also many fruit-based liqueurs and wines. Cha Ca is a dish made famous in Hanoi. It is so famous in Hanoi that there is an entire street named after the meal. And on this namesake street is a restaurant also named after the fried fish dish. Grab a seat at this bustling eatery to try this crispy white fish treat. Because of the post-war food rations in the 1970s, Pho Thin’s owner Nguyen Trong Thin made a small change to his pho recipe to maximize flavor. He first stir-fries the meat with garlic to give his soup an extra pop. This cool back alley spot boasts meaty and flavorful bowls of pho. Without a doubt, bánh mí is best eaten on the street. Bánh Mí 25 is a street vendor that serves up bánh mí sandwiches that are so good they can become addictive! Navigate the maze-like alleyways of Hanoi’s Old Quarter to find Ca Phe Pho Co, a cool cafe serving some of the city’s best coffee. Located into an old mansion, Ca Phe Pho Co is well known for its egg coffee. Grab a cup and head to the terrace where you can enjoy your brew with a view of the sprawling city. If ever in doubt, just find a place on the street that is crowded with locals. You will rarely be disappointed! You can learn more about Konrad or follow his journeys around the world on his GoKonrad travel blog.